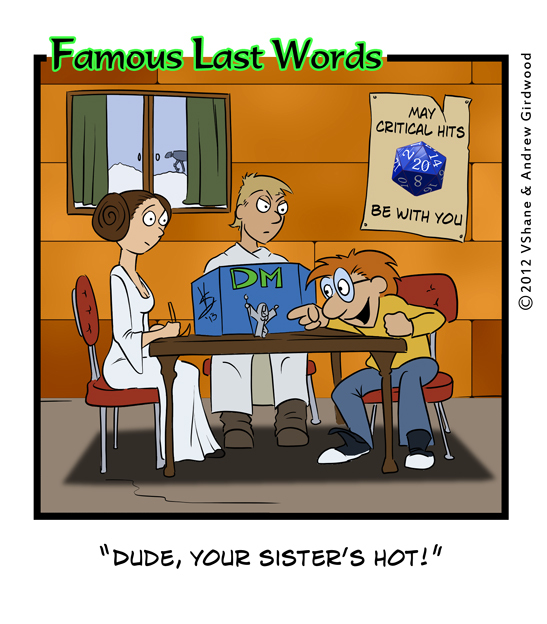 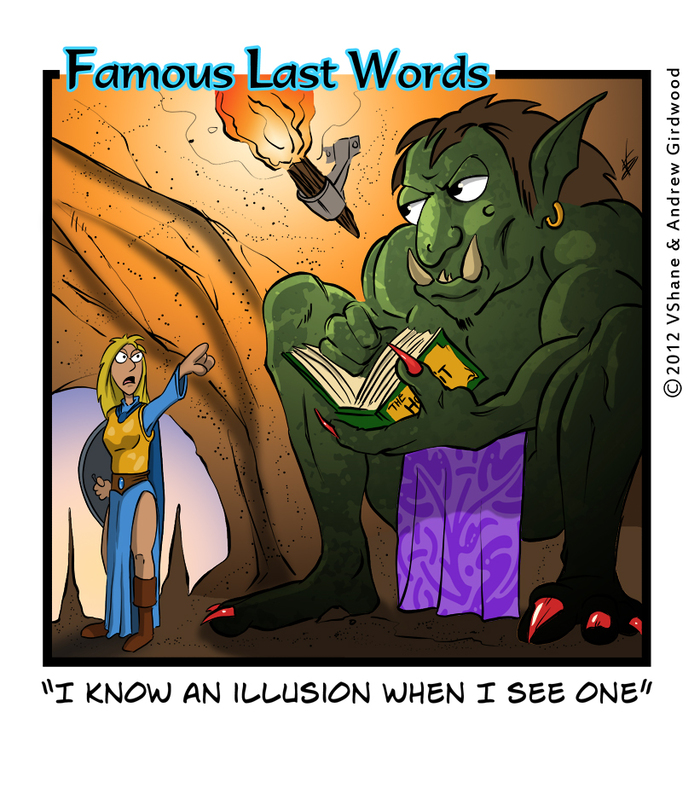 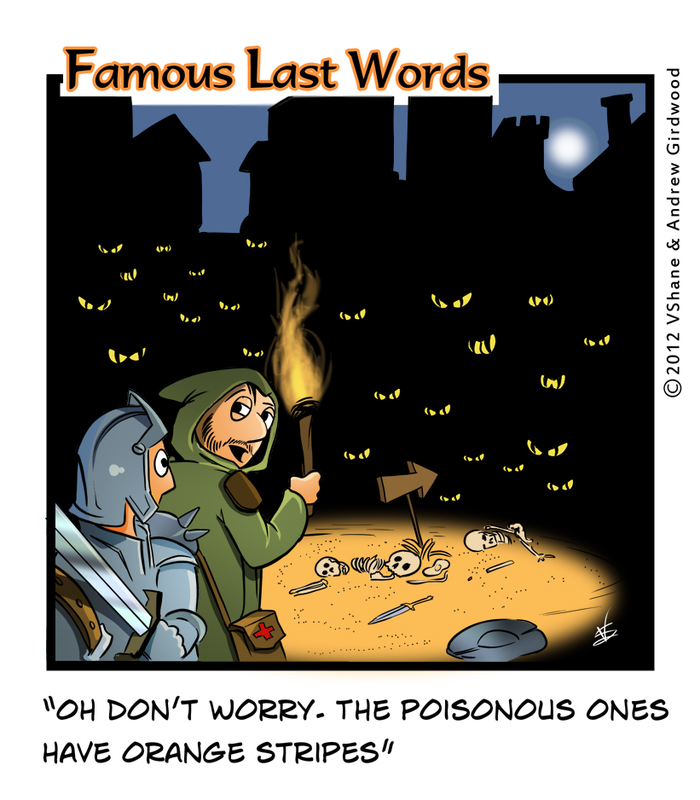 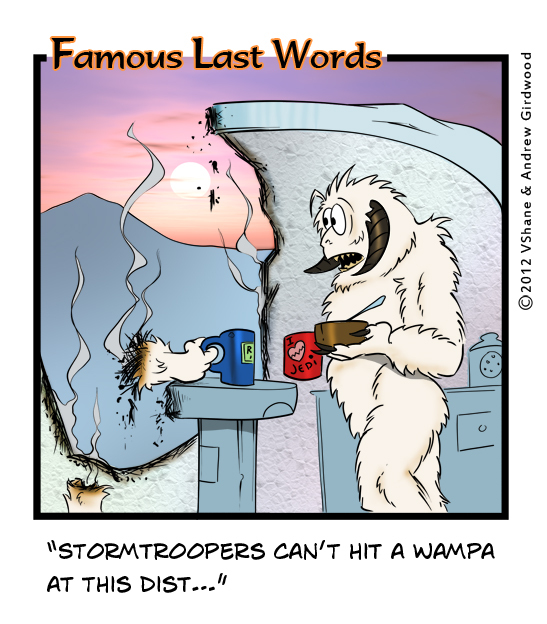 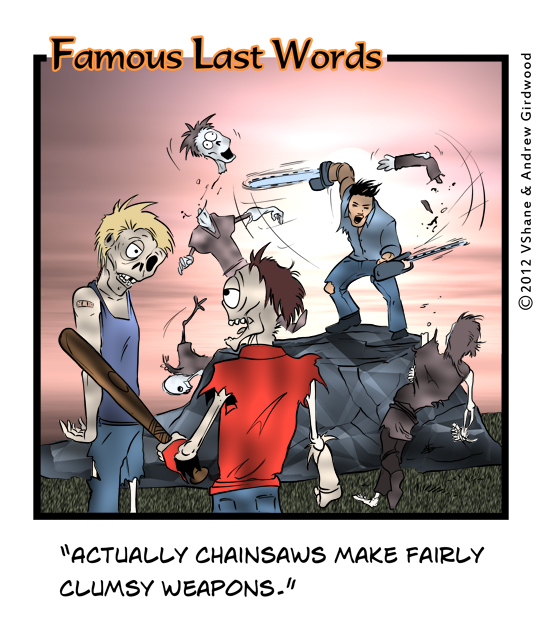 These comic strips are from Geek Native’s 10 week long famous last words Friday. 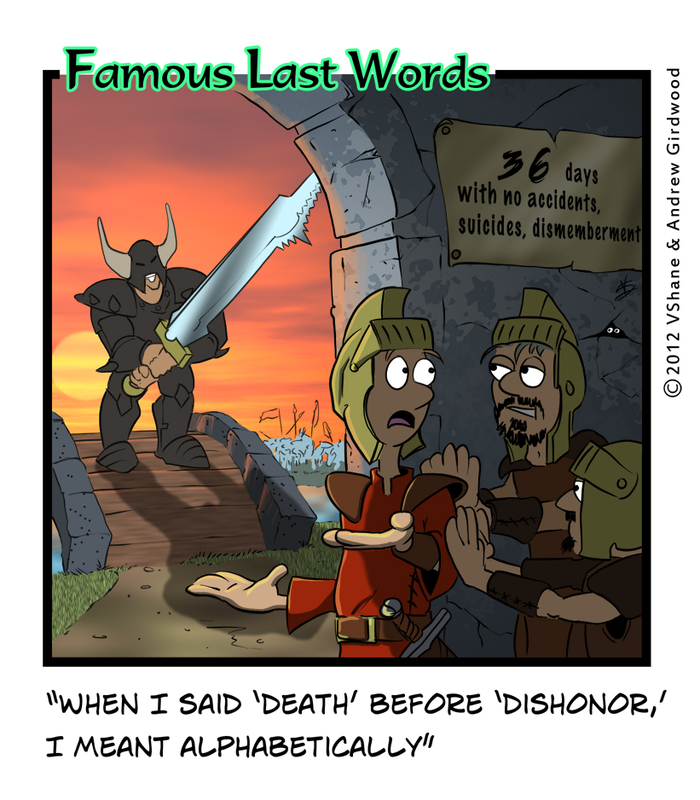 These quotes come from the famous last words archive from GameWyrd which dates back to 2003 and a user generated list. 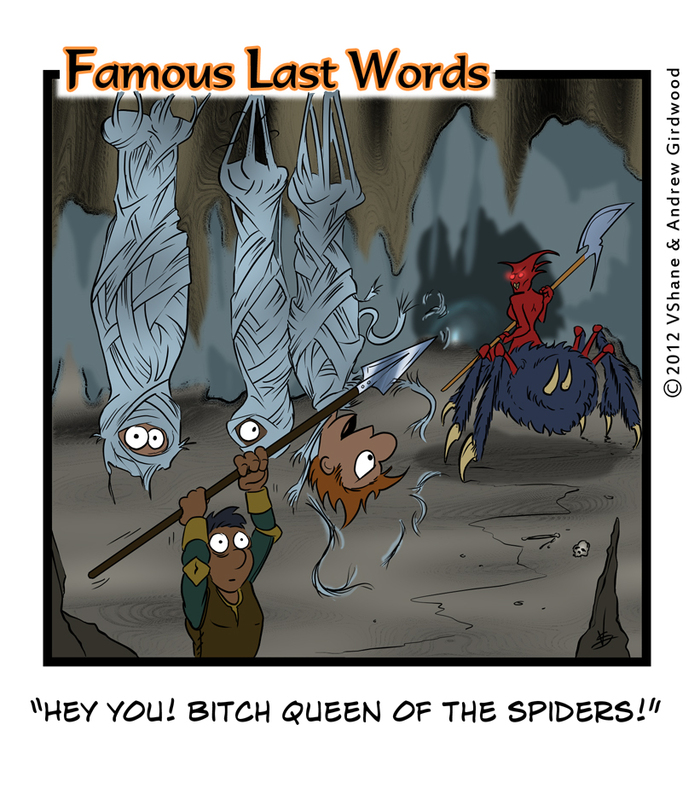 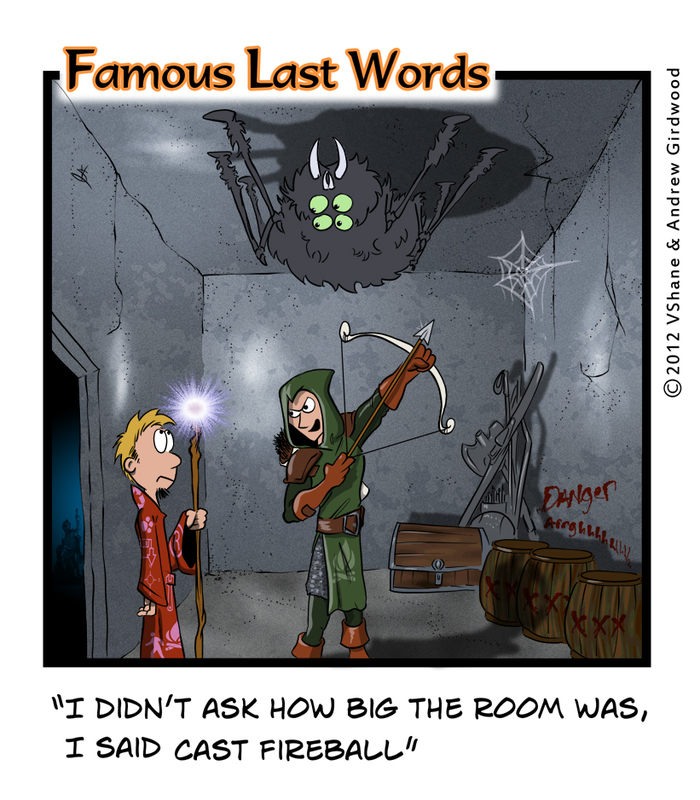 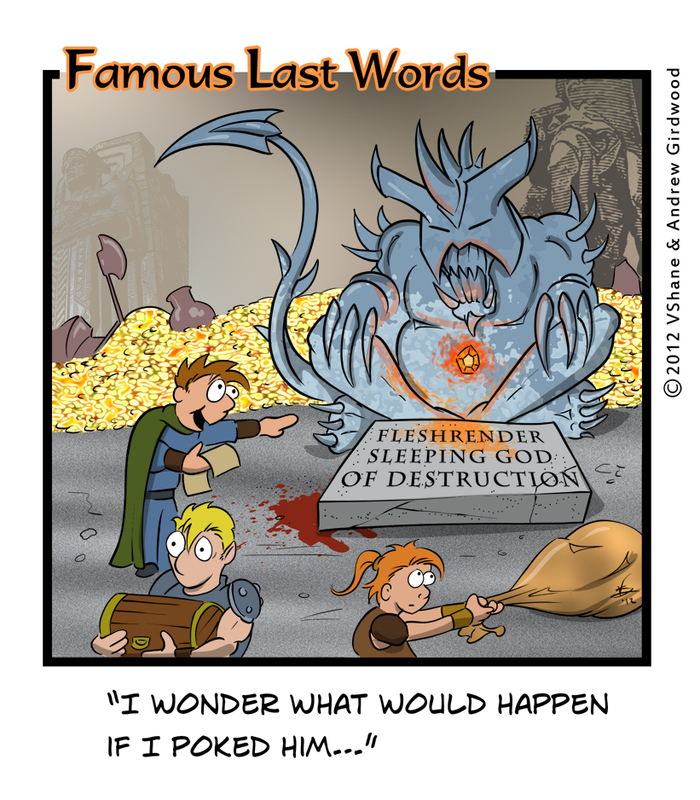 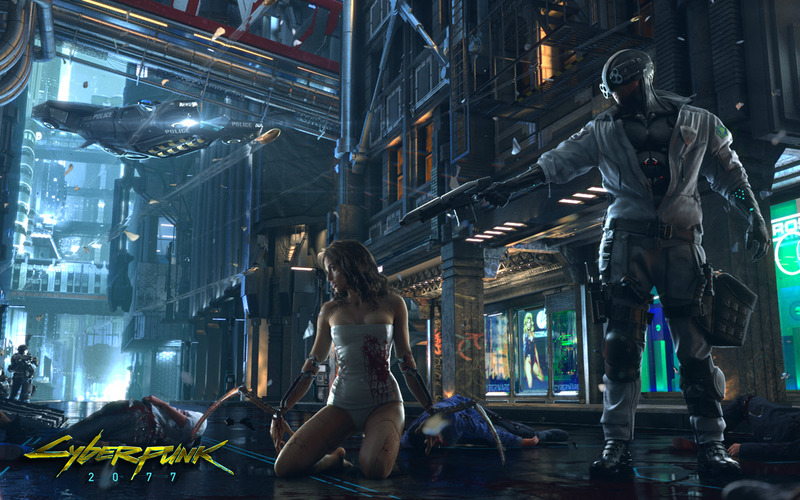 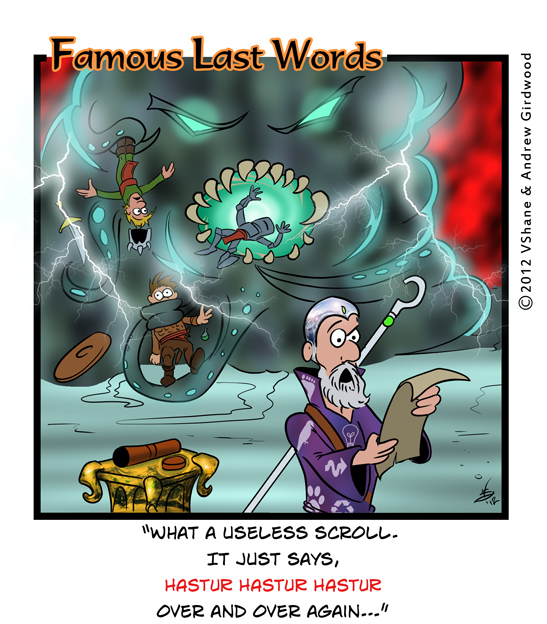 Do you have a better famous last words quote from an RPG?